Share your skills and knowledge with us! 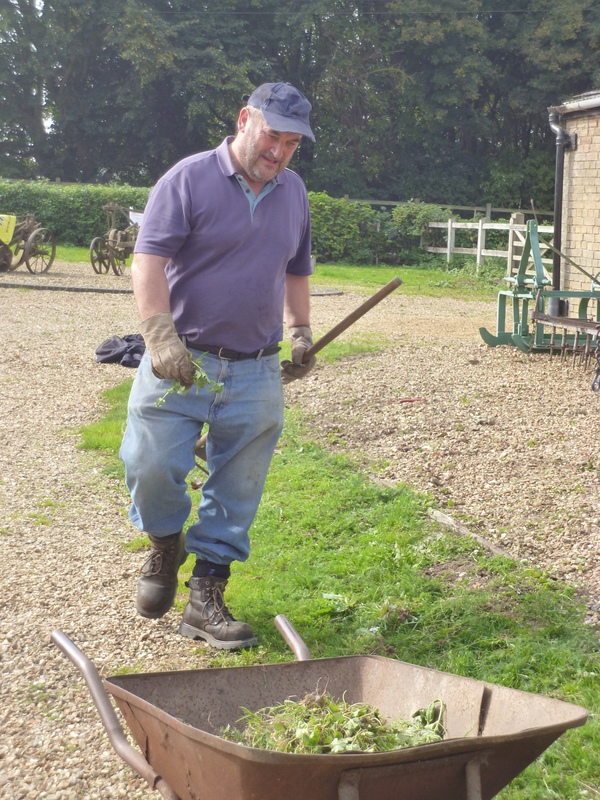 The Farmland Museum and Denny Abbey relies on a small staff team and an incredible band of volunteers to remain up and running – but we always need more! Do you have time on your hands and skills you would like to put to use? Perhaps to get out and meet new people or you may be keen to learn something different. We can put any and all skills to use! If history is your thing, you could be a tour guide or event assistant. If you like to use your hands, how about housekeeping and maintenance? Or are you someone who loves to meet customers and would be an asset to our tea room and gift shop? Please get in touch, even if you can only spare a small amount of time. We’d love to hear from you! We also welcome enquiries from anyone interested in becoming a trustee to help shape and develop the museum’s future. Enjoy history and talking to people? 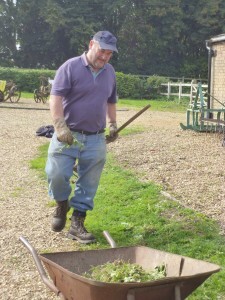 Volunteer to be a steward in the 12th Century Denny Abbey at weekends. The Museum manages the Abbey on behalf of English Heritage. We seek – friendly, approachable, welcoming people, with good people skills. Promoting any activities or performances taking place within the Abbey during event days. Sweeping the gravel floors and keeping the spiders at bay. It’s up to you whether you want to dress up as a monk or nun or stay in civvies! Would you like to help at one of our events or family activities? Activities can include demonstrations, giving tours, helping in the cafe or kiosk at busy times, helping with children’s activities, stewarding in the car park or looking after visiting performers and demonstrators. For helping with children’s craft activities experience of working in an education setting would be very useful but not essential, helping with the children’s activities may require a DBS check (at no cost to you). Very suitable for young volunteers aged between 16 – 25 looking to get experience for their CVs or undertaking their Duke of Edinburgh award. Also for anyone interested in events management and working with the public. Become the village black smith, village shopkeeper, a nun in the abbey or one of the many other roles. We need friendly and approachable people who can take on the role of someone from Denny’s past and bring its story to life. The museum will provide you with a costume, lunch and full training on your chosen character. You will need to talk to our visitors in character and enable them engage with our collections of Cambridgeshire rural life. Very suitable for young volunteers aged between 16 – 25 looking to get experience for their CVs or undertaking their Duke of Edinburgh award. Also for anyone interested in re-enactment, drama and working with the public. We welcome applications to join our education team to help with school groups during term times. You must be someone who enjoys working with children in a fun, relaxed, and purposeful atmosphere, and be prepared to volunteer on a regular basis (though this is unlikely to be more than 1 to 2 days a month), and who would be confident in working with groups on their own. For school sessions, thorough training and induction will be provided, and volunteers will only be given tasks they feel confident with. The groups would usually consist of less than 15 children, generally aged between 5 and 11. For helping with children’s craft activities experience of working in an education setting would be very useful but not essential, helping with the school visits may require a DBS check (at no cost to you). Very suitable for young volunteers aged between 16 – 25 looking to get experience for their CVs or seeking experience working with children. Also very suitable for home-based mums and dads with children at school. Whether you are a company looking to do Corporate Volunteering, a family who’d like to spend the day doing something together or a group of friends who’d like to do something in a day that helps a charity – we CAN accommodate you! All offers of help are always greatly appreciated. Activities on offer including – painting, washing windows, tackling cobwebs or running an activity on an event day.